NEW YORK -- Federal prosecutors sued New York City on Thursday to speed the pace of reforms to address what a Justice Department investigation found was a "deep-seated culture of violence" against young inmates at the Rikers Island jail complex. The move comes just a day after Mayor Bill de Blasio visited the 10-jail lockup to announce the end of solitary confinement for 16- and 17-year-old inmates, a policy change initiated after the 2 1/2-year federal probe released in August. But the end of solitary was just one of 73 recommendations made by federal prosecutors to curb the violence, improve investigations, strengthen accountability and reduce the use of solitary confinement for inmates who break jailhouse rules. In court papers, Attorney General Eric Holder and Manhattan U.S. Attorney Preet Bharara wrote that despite four months of negotiations with the city, federal prosecutors "have been unable to reach agreement as to lasting, verifiable, and enforceable reforms." The lawsuit seeks an court-enforceable consent decree is issued by a judge to ensure the reforms take place, and notes that the city has now agreed to such intervention. Emails seeking comment from the mayor's office and city lawyers weren't immediately returned. De Blasio and his reform-minded commissioner, Joseph Ponte, have recently touted measures they say point to a change in direction for the nation's second-largest jail system. Those include capping solitary stints to 30 days from 90 days, decreasing the staff-to-inmate ration in juvenile facilities from 33-to-1 to 15-to-1 and the securing of funds to add surveillance videos over the next two years. But the federal complaint says those reforms have yet to reach 18-year-olds. It noted there have been 71 reported use-of-force incidents against 18-year-olds between September and November in facilities without surveillance cameras. As of last month, at least 40 of them were being held in solitary confinement. Jail officials have been "deliberately indifferent to harm" of the young inmates by failing to make sure incidents are properly reported, failing to appoint enough supervisors, failing to conduct thorough investigations and failing to discipline staff for using excessive force, the lawsuit says. New York's 11,000 daily inmate jail system has come under increased scrutiny this year since The Associated Press first reported the deaths of two seriously mentally ill inmates at Rikers and other problems. 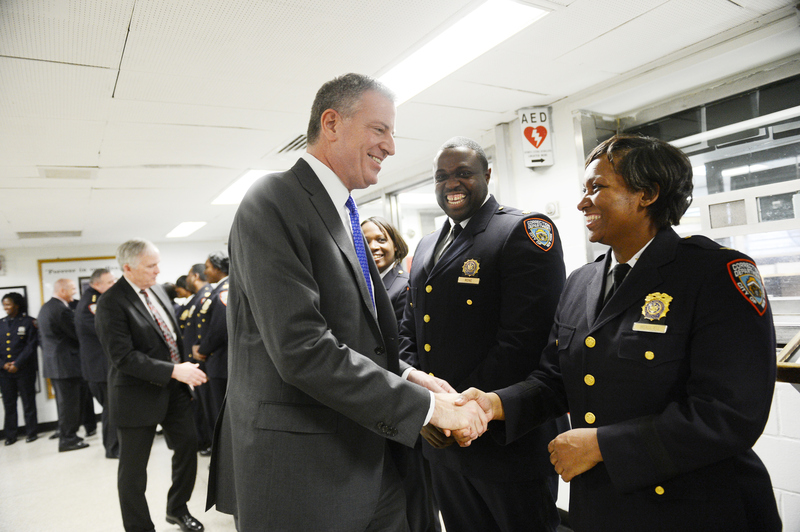 Subsequent investigations by the news media, city investigators and lawmakers have drawn attention to the jails, whose problems de Blasio has said were decades in the making and will not be changed overnight. But Bharara's lawsuit seeks more immediate cultural change at Rikers. The culture described in the complaint is one in which jail guards will yell "stop resisting" when beating an inmate, use abusive language to provoke inmate fights, intimidate inmates into not reporting beatings by pressuring them to "hold it down," and failing to employ even basic investigative steps to verify incident report forms. "To date, defendants have failed to take sufficient and effective measures to remedy these deficiencies," the suit says. On Wednesday, a Rikers Island guard was convicted of a civil rights charge after a jury concluded he ignored the pleas of a dying inmate who had swallowed a toxic soap ball. Terrence Pendergrass shook his head repeatedly as the verdict was announced Wednesday in Manhattan federal court. Pendergrass was charged in the death of 25-year-old Jason Echevarria, who had bipolar disorder and was being held on a burglary charge, CBS New York reported.